Icebergs And Penguins? Not Likely! Pacific Wings Takes A Look At The Southland Aviation College. Peter Clark Takes A Look At Kendell And Their Fleet Addition. Peter Clark Catches Up With The Cessna Grand Caravan 208B, N1326D, During Its Four-Week New Zealand Sales Tour. Andrew Carpenter Offers Some Advice For Those Considering A Career As A Trans- Tasman Helicopter Pilot. Hovering For 25 Minutes In A Steep Bushclad Ravine At Night In 30-Know Winds Is All In A Day's Work (Or Should That Be Night's?) For The Rotorua Rescue Helicopter Crew. Brazilian Fatman And A Vintage Turbine. Are You A ""Petrol Hear""? - Fuel For Though. A New Column By Mike Feeney. 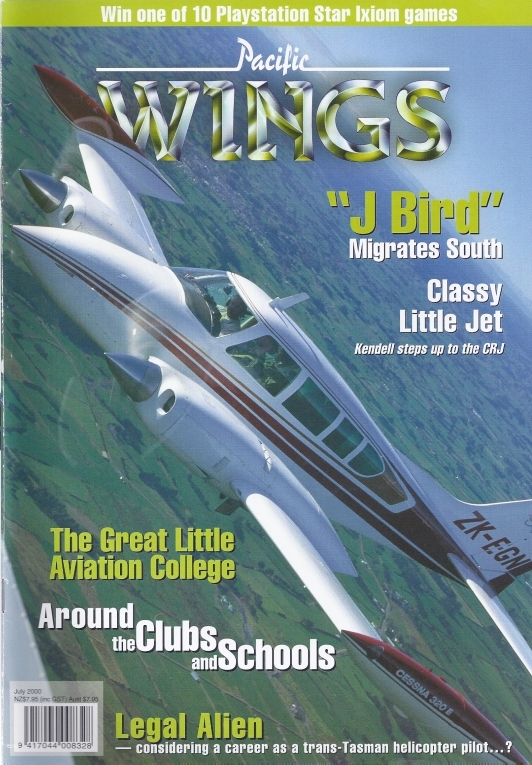 This Month Mike Looks At One Of His Old Haunts - The Tauranga Aero Club.